Hospitality degrees in Kentucky are available from several institutions of higher learning. Designed for students interested in working as hotel managers and in other tourism industries, the programs offer a combination of classroom learning with hands on experiences in the field. Kentucky is home to a number of different places that are popular with tourists. Whether you want to work in a museum in Louisville, an event center in Lexington or one of the numerous state and national parks, you’ll need a degree. Start working on that degree when you apply to any of the hospitality and tourism programs in the state. Beckfield College is one of several for-profit colleges located in the state of Kentucky. Like many smaller colleges of its type, it opened as a vocational school that primarily focused on just a few subject areas. Foreseeing the need for other programs, the college expanded its catalog to offer classes in business, technology, healthcare and a number of other fields. The college now has a partnership in place with a small academy to offer healthcare classes, and it operates one campus in Florence and a second campus across the state line in Cincinnati. Beckfield College also offers most classes online. 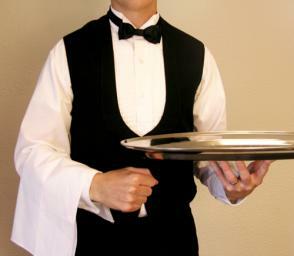 The Associate of Applied Science or Applied Business: Hospitality is an eight quarter long program. Students taking a full course load each quarter can complete the program in two years. A large number of schools in other states and in Kentucky now follow a semester program. If you take classes at Beckfield College, you will likely find that you cannot transfer those credits to a school that follows the semester system. Beckfield recently announced that it would not enroll students in this program for the time being, but the program may become available later. Students can enroll in the Associate of Applied Science or Applied Business: Restaurant Management until then. Both programs require many of the same courses, including classes on ordering beverages, following sanitation guidelines and employment laws. The program is available through both Beckfield campuses, and those looking to save money can enroll in the online management program. Sullivan University bills itself “Kentucky’s Career University.” Established in 1962 as the Sullivan Business College, the school originally offered single year programs. After switching to two-year programs, it became a junior college. Though the university still offers classes on campus, it also encourages students to enroll in its online programs. Those programs are available to those living in Kentucky, neighboring states and in locations around the world. The founders of Sullivan wanted to create a school that would prepare students for their future careers, and the school remains dedicated to getting students ready for the road ahead even today. When applying for positions in restaurants, hotels and other tourism companies, many applicants find that those schools look for employees with both experience and education. Earning your BS in Hospitality Management lets you show those employers that you have both. Sullivan University offers two different types of programs under this same category. One program is open to students with no classroom experience who want to earn a degree, while the other program is open to students with an Associate degree. If you have a two-year degree in culinary arts, restaurant management or any other tourism or hospitality field, you enter the program as a junior. The program is available at the Louisville and Lexington campuses, but the program is also available online. Students learn how to communicate with employees working underneath them, talk to clients, balance budgets, handle problems with contractors and other workers and how to keep food and beverages safe for consumption. Located in Bowling Green, the University of Western Kentucky is one of the largest public colleges in the state. More than 20,000 students take classes online on the main campus every year. WKU also added several satellite campuses in Elizabethtown, Owensboro and Glasgow. Those extension campuses let students earn credits before transferring to another college or taking classes on the main campus. Many students earn an Associate degree and transfer their credits to earn a Bachelor degree. Many famous faces attending the university, including actors Michael Rosenbaum and Matt Long, golfer Kenny Perry and the current presidents of both WKU and Eastern Kentucky University. Designed to give students a better understanding of topics and issues relating to the hospitality field, the Hospitality Management Associate degree is a two-year program available through Western Kentucky University. The program launched with the idea that students would earn specific skills that they could use as restaurant managers and in similar positions, but the program now provides students with a good solid foundation. Graduates can take courses at another school to complete a Bachelor degree. All students take a one credit hour course on food service sanitation and 11 three credit hour courses. Those courses include tourism planning and development, introduction to management in the hospitality industry, commercial food preparation, principles of marketing and lodging operations. In addition to those hospitality courses, the school also asks that students take 27 credit hours of courses on human sanitation, introduction to literature, business and professional speaking and personal finance. Founded in 1908, the UK College of Food, Agriculture and Environment is one of the largest colleges at the University of Kentucky. The college has annual enrollment of around 3,000 students, and its overall enrollment increases nearly every year. The Department of Retailing and Tourism Management prepares students for the tasks associated with working in the tourism industry. Professors working in this department believe that students require hands on experiences, which is why many students work in the restaurants and hotels on or near campus and other students do internships. The department ranks as one of the leading departments of its type in the country. The founders of the Bachelor of Science in Hospitality Management designed the program to help students gain employment as restaurant managers, event planners and coordinators, hotel managers and in a number of other fields. While some programs focus on only one future career area, this program produces graduates capable of working in almost any area. This 128 credit hour program requires that students take general education courses on math, writing, science and other topics in addition to their core courses. Some of the more popular courses include hotel rooms division management, tourism and planning development, principles of travel and tourism and event planning and coordination. The University of Kentucky is one of the few schools in the country that offers a tourism abroad program. Former students earned course credit while working in London, Paris, Africa and locations around the world, and you can also earn credit working for a local hotel or restaurant as an intern. Hospitality professionals handle everything from ensuring that projects come in under budget and keeping employees happy to handling guest complaints and working with contractors. If the idea of working with others and working in the hospitality industry excites you, today is the perfect time to look at the hospitality degrees in Kentucky and what each program offers.